Saturday’s here! And I’m letting myself slack off a bit today. Sure, I’ll write my NaNo words, but I’m not going to do much more. I’m definitely not going to sit in front of the computer all day. A certain 9-year-old wants a special day, which to her mind includes popcorn, a movie, and me spending the night. Should be fun! I’m featuring Tarzan & Janine today. It’s a very funny story, co-written by my sister, Elle James, and myself. We’d written the first draft eons ago, but real life intruded and we let it languish. Our mother insisted we resurrect it. She’d been waiting years for us to finish the darn thing. 🙂 Hope you enjoy the excerpt! 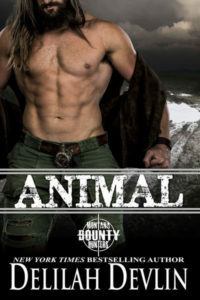 See what happens when a secret billionaire and an aspiring actress get a little wild in Texas! 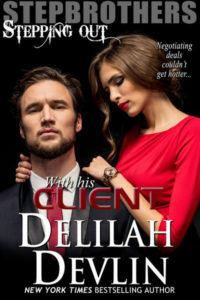 Closet Texas millionaire, Tanner Peschke has three months to prove he can make a profit at the family used car dealership or he will lose his job, disappoint his father and break his promise to his dying mother. The root of his problem is women. He can’t resist them—any of them. All it takes is the scent of delicate perfume or a misty-eyed gaze from an elderly woman with a sob story, and he becomes silly putty in the hands of his feminine customers. Until, with a stroke of luck and a buck of a mechanical bull, he hires Janine Davis to star with him in the dealership’s live TV ads. Determined to make a name for herself, Janine needs to pay the bills between acting jobs. The offer to do a series of commercials for Peschke Motors is a chance to get her face “out there”. Recognizing a player when she sees one, Janine agrees to co-star with her handsome employer fully intending to keep their relationship strictly professional. First break she gets, she’s heading to Hollywood. Their jungle-themed commercials take a crazy twist, and Tanner finds himself falling…from a sales banner while chasing a monkey. But more importantly, he’s falling for Janine. She’s just the one woman to tame this cowboy’s wild heart. Convincing her to stay with him might be harder than catching a mischievous monkey. “Well, it’s under revision…” Revision, hell. Tanner hadn’t even considered a contract. He’d never hired an actress before Janine. What kind of contract did actresses need? “Why don’t we let her decide?” Barbara insisted.